What Symptoms Appear After Incubation Period? About 15% of adults and 37% of kids get a sore throat due to streptococcal pharyngitis which comes from group A streptococcus. When this bacterial infection takes place, the throat feels scratchy and sore. Strep throat is contagious when you get in contact with an affected object or person. The transmission of this bacterial infection can also happen during the incubation period. Knowing the incubation period, contagious period and transmission methods of strep throat is the primary steps in getting to know this infection. Strep throat's incubation period ranges from 1 to 5 days, differing from people to people. This is to say, people who are more vulnerable to infections may have symptoms of strep throat after one day of infection, while those who are less vulnerable can show symptoms even after five days. So, if you have come into contact with a family member, a friend or a spouse who has strep throat, you would know that you are free from the bacterial infection after 5 days. Strep throat is contagious even during the incubation period and it remains this way for up to 21 days without treatment. But if the person has been treated with antibiotics for about 24 hours, then the infection won't be contagious any more. Strep throat is transmitted during close contact with the spread of affected saliva or nasal droplets. Direct contact like sharing dishes or kissing can definitely spread this infection. Besides, the air can become contaminated when an infected person coughs, breathes and sneezes without covering their mouth. When you breathe in this air, you will get the infection. What's more, this bacterium is able to survive on lots of surfaces and objects. So it's important to always wash your hands before and after touching your nose, mouth, and certain objects to avoid spreading or contraction strep throat. Note: Even if you have some of the said symptoms, it doesn't necessarily mean you have strep throat because some other disease can cause them too. There is no improvement for 48 hour even after taking antibiotics. Apart from taking antibiotics that may have side effects, changing your lifestyle and some home remedies can help improve the situation. Here are some of the other effective ways to treat the condition even during the incubation period of strep throat. Gargle with warm water: Gargling warm water with salt is a great way to relieve strep throat symptoms. Do not swallow the water after gargling but instead spit it out. Get enough rest: With enough sleep, you will feel better since when you strain your body, you tend to feel worse than before especially when experiencing an abnormal fever or you have a headache. Staying in bed or simply at home will help in subsidizing the severe symptoms. Drink enough water: Water is life so they say. Lubricating your throat will lessen the pain even when swallowing foods or drinks. 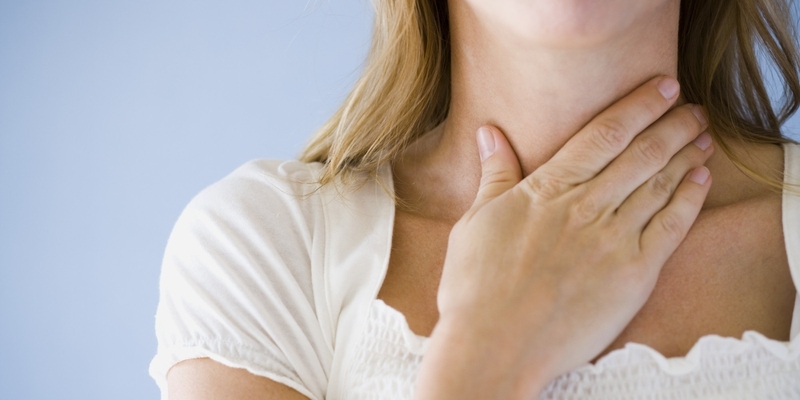 Know what to eat: Make sure that you do not eat acidic or spicy foods as they might irritate the throat further. Eat cold foods, blended ones or mashed ones to avoid irritating the throat. Use humidifiers: Use saline nasal sprays and a clean humidifier to add moisture to the air. Stay away from irritants: Avoiding irritants such as strong perfumes, cleaning products and smoke can also help in preventing a further infection. So now that you know about incubation period of strep throat, it is time to take the recommended antibiotics. After a positive diagnosis of strep throat, you need antibiotics to prevent the spread of this infection. After taking antibiotics for 24 hours, you are no longer contagious. Besides, antibiotics also help alleviate infectious symptoms and reduce risks of developing severe complications. Do take all the antibiotics, or complications, antibiotic resistant or even a relapse of strep throat that is worse than the initial one will happen. Some of the antibiotics that are commonly prescribed include penicillin, amoxicillin, cephalosporins and macrolides. There may be side effect, like vomiting, diarrhea, rashes, swollen tongues and lips, difficulty breathing, etc. If your symptoms do not improve after a few days, see your doctor to get another types of antibiotics or get retested. Server responsed at: 04/23/2019 6:34 a.m.